Camddwr Canine have teamed up with Back On Track to bring you a range of products for dogs that have provided some excellent results in humans, horses and dogs! The ceramic fabric used with these products to aid pain relief have had some outstanding results with Agility dogs and we have been watching their results closely. Given some of the testimonies from some of our own team, I have decided to team up with Back on Track and offer the range of products through Camddwr Canine. We will only stock products we believe in, and I have also been road testing the hock boot on Noggin as his extensive surgery sometimes results in inflamation in the hock joint. The products can also provide pre exercise warm up, hasten recovery and stimulate the healing process. 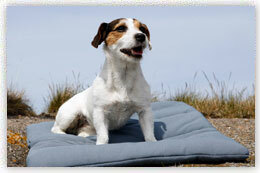 We also supply a range of Back On Track products for humans too! Back on Track is the name of our unique range of pain-relief products. They evolved from a combination of ancient Chinese experience, modern scientific findings and skilled textile production. The result is a fabric of polyester with a ceramic powder melted into the threads. The ceramic reflects body heat as an infrared wave, a form of energy that has a documented pain relieving effect. This reflected heat can reduce inflammation, ease muscle tension, increase blood circulation and hasten the healing process. Back on Track products can be used to warm up your muscles before physical exercise or work, thereby reducing the risk of strains or injury. Most importantly, they can also expedite the recovery from established injuries. Back on Track is available in the form of clothing and bedding products, as well as joint and muscle braces for most parts of the human body. 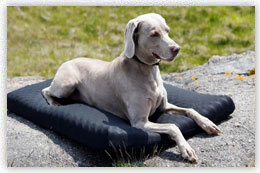 Back on Track also manufacture a wide range of products for horses. It is our genuine aim that Back on Track can provide an easy, comfortable and effective contribution to a life of health and wellbeing. For the full range of Back on Track products visit our online store or come and see us at our trade stand at shows.